Following in the footsteps of Harry Potter, The Hunger Game novels have become a worldwide publishing sensation followed by a series of four films which have grossed close to $3 billion. Composer James Newton Howard took on scoring the original Hunger Games film when a scheduling conflict took Danny Elfman off the project, thus beginning a sequence of magnificent film music. In a 30 year career his range of composition has been formidable. Scores include The Prince Of Tides, The Fugitive, Batman Begins, King Kong, I Am Legend, The Dark Knight and the worldwide TV hit ER. His work has received eight Oscar nominations and he has been named BMI Icon at this year’s BMI Film & TV Awards. The fifteen tracks assembled here from the film series, in this unique set, highlight his epic composing skills. 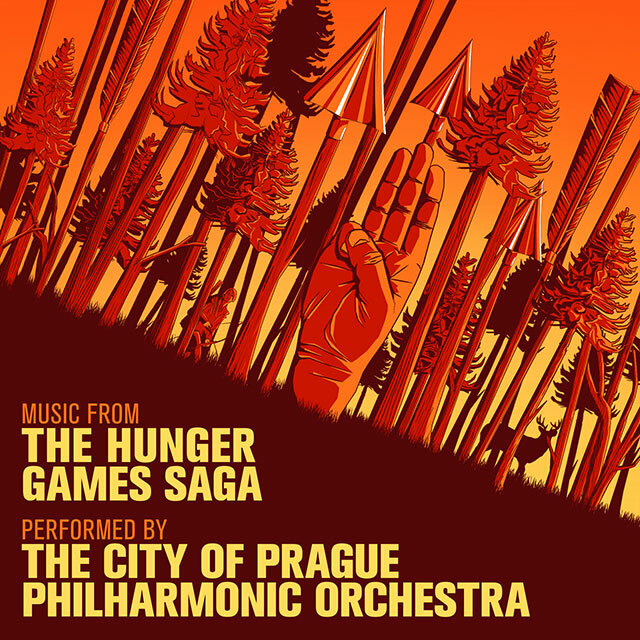 Performed by The City Of Prague Philharmonic Orchestra, one of the most respected and recorded orchestras in the world, this collection represents some of the most skillful and exquisite symphonic music in cinema today.